More Product InfoThis 3 foot high quality serial / modem cable features molded connectors and gold plated contacts for superior corrosion resistance ensuring a solid connection for the life of the cable. Our cable is ideal for connecting 25 pin serial devices to laptops, computers and expansion / interface cards that have a 9 pin serial port. 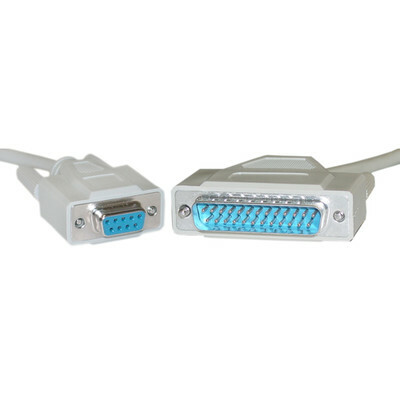 This female to male 9 conductor serial cable is solidly constructed, UL rated and RoHS Compliant. Another one of those projects that need to connect an old style device to a newer computer. Cable did the trick and was inexpensive.